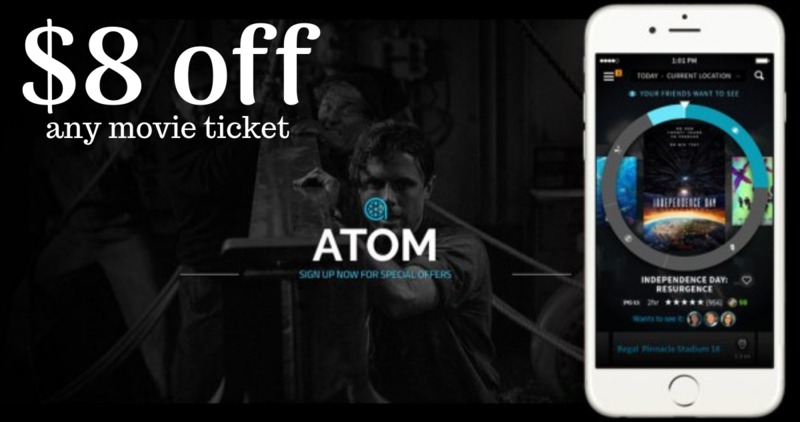 Today only, Atom Tickets is offering new mobile app users $8 off any movie ticket when you purchase through the app and use code MARVELOUS at checkout! To get this offer, download the Atom App from the App Store or Google Play. Then create an account, select your desired location, choose your movie, add one or more movie tickets to your cart, and enter promo code MARVELOUS in the box at the top. This offer is for today only, 9/3.